Last week was Montessori Week at my son’s preschool. It was a week dedicated to Maria Montessori and her wonderful work in education. Each day they discussed a profound quote from Maria Montessori and also helped the children to understand a little about her life and work. When I asked my son about Maria Montessori, this is what he said. 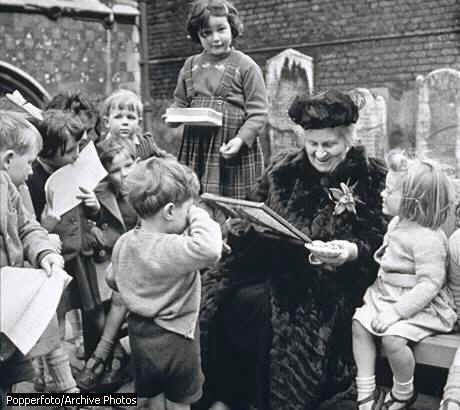 I have been spending some time over the last year reading about Maria Montessori, her work and the educational philosophies of the Montessori schools. It is all so interesting and I wanted to share with you some fun facts about Dr. Maria Montessori and also some famous folks who have attended Montessori schools. Maria Montessori was the first female physician in Italy and it is said by some that she received permission from the pope to attend medical school. Both Gandhi and Helen Keller were friends of hers and influential in helping her develop her ideas and curriculum. Just think…ZW will be on that list someday. Who knows what he will be known for, but it will be something good. P Diddy, really???? LOL very cool alumni!